What is so special about the Banyan Tree? Banyan tree is that unique plant that you know looks very innocent but has the potential to transform into a giant. Banyan trees can grow into large trees that cover a large area. Their shade is therefore out of the ordinary. Should you, therefore, plant this tree at home? Many Brisbane QLD homes are looking for an added touch of beauty that comes with exotic trees. What better way to set yourself apart from everyone else than with a banyan tree? Despite growing into a large tree, the banyan tree doesn’t grow overnight. It will, therefore, give you years of gradual growth and a beautiful yard. Banyan tree Brisbane is a popular group that advocates for the tree. Besides being the lovely banyan tree, it belongs to the ficus family. It is the ficus benghalensis scientifically. Other names include the Indian banyan and banyan fig. banyan tree can be traced to India but has quickly spread to other parts of the world like Australia. The banyan trees in India are the largest since the area has all the requirements for the plant to grow fully. 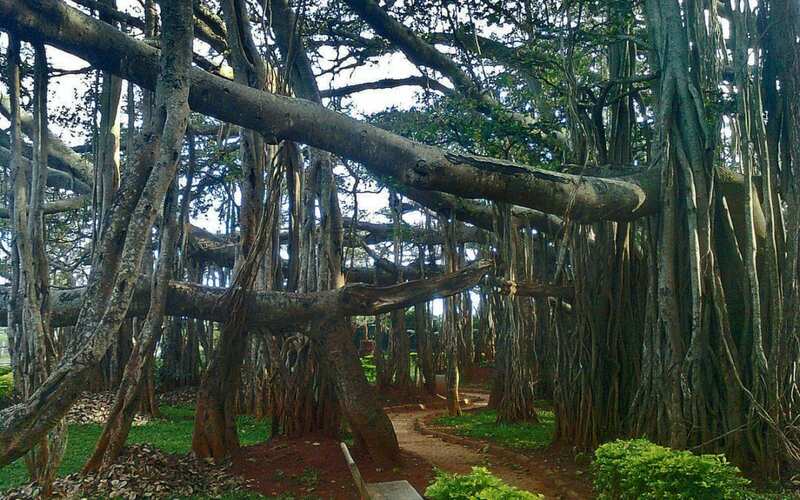 • Banyan trees often grow by strangling other trees. When their seeds land on other trees, they begin to grow and send down their roots that kill of their host and take its place. • Banyan trees can cover hectares of space in terms of their shade. • Banyan trees are pollinated by wasps that belong to its species and only breed inside figs of the same species. • Banyan trees are famous as a source of medicine. This is one of the most prevalent banyan trees uses. • A poet in the 17th century wrote that the banyan tree leaf was used to make clothes by Adam and Eve. Besides its exceptional capability to grow into a giant tree and a myriad other uses, the main reason it is unique is its healing capabilities. The banyan tree is a source of medicine for over 20 ailments. The leaf, bark, root, and seeds are used in various ways to produce medicine. • When banyan leaf buds are soaked in water overnight, and then you drink that water, it is beneficial in managing diarrhea. • The aerial roots of the banyan trees are beneficial to dental health. They prevent gum diseases. • When you’re nauseous or vomiting, the young ends of the aerial roots of a banyan tree work magic. A banyan tree bark infusion is excellent at treating diabetes. Even with all these medicinal uses, if you’re planting the banyan tree in Brisbane QLD, you don’t have the amount of space the tree requires to grow into the hulk. Therefore, contact us to help you remove the tree. Enjoy the young banyan tree and let go when it gets older.